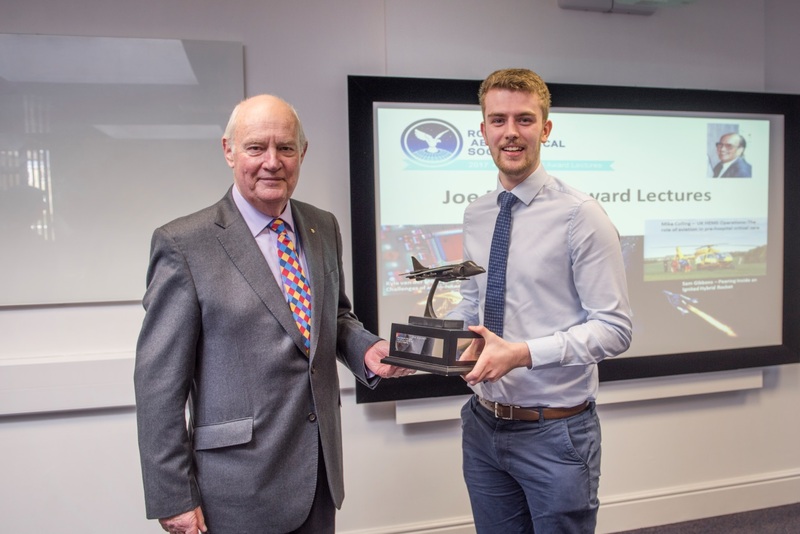 The RAeS Boscombe Down Branch recently held the annual Joe Morrall Lecture Competition which saw six Young Engineers present on a variety of Aerospace related topics. 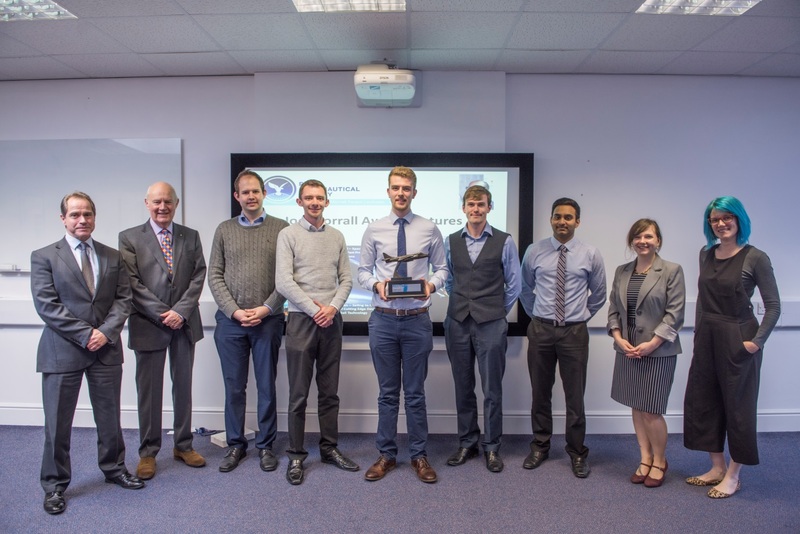 The competition was held on Tuesday 21st March in memory of Joe Morrall who enjoyed a long and distinguished career for the Royal Aircraft Establishment, the Blind Landing Experimental Unit, the MOD Harrier Programme, and NATS. The brief for the competition was to produce a 15 minute presentation and prepare for 5 minutes of challenging questions at the end. The judging panel consisted of Doug Gale (QinetiQ Director of Strategic Engagement), Dr Sophie Robinson (RAeS Boscombe Down Branch Chairwoman), and Roger Beazley (RAeS Boscombe Down Branch President) all of whom listened attentively and fairly assessed all of the presentations. As seen above, the majority of this year’s entrants were focused on the space-side of Aerospace which was an interesting contrast for the predominantly aero-experienced audience. The winner of this year’s competition was Sam Gibbons who gave an exceptionally engaging talk about the challenges in observing the insides of a Hybrid Rocket Engine in order to better analyse their thrust performance. This masters-level topic was aptly reduced in complexity and explained to all those in the audience who understandably were not rocket scientists! The Boscombe Down Branch congratulates all those who took part and commends them on their varied presentation styles and topics! It was a great opportunity to develop presentation skills and confidence, and we look forward to next year’s competition with bated breath! Competition winner Sam Gibbons with RAeS Boscombe Down Branch President Roger Beazley. L-R: Doug Gale, Roger Beazley, Kyle van der Merwe, Mike Colling, Sam Gibbons, Matt Titman, Pritesh Patel, Lowrie Lavis, Dr Sophie Robinson.